Correction: APTN News incorrectly labelled the Bora Laskin Law School as an Indigenous law school in this story on Friday. While Indigenous laws and rights are a part of the school’s agenda, Natural Resources and Environmental Law, and Sole, Small Town Practice with the Integrated Practice Curriculum is also taught according to the school’s website. 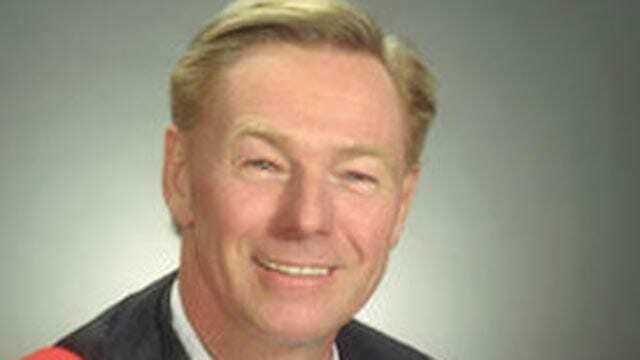 A judge who jailed six members of the Kitchenumaykoosib Inninuwug (KI) First Nation in Treaty 9 has been named the interim head of the Indigenous law school at Lakehead University in Thunder Bay. Ten years ago, Justice George Patrick Smith sent the chief and five councillors from KI to jail for contempt of court because they refused to stop blocking access to their territory to a resource company. Chief Donny Morris was one of those jailed. 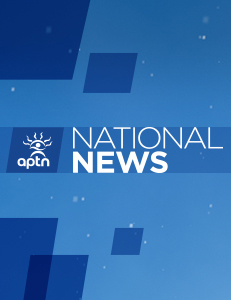 “For him to take interim… it has to be somebody else in that position,” Morris told APTN News. The university is searching for a full-time dean of the law school after the departure of Angelique EagleWoman who resigned saying that she experienced racism and a university board that was apathetic towards Indigenous issues. Morris questioned whether Smith had an understanding of the country’s Indigenous issues when he sentenced the six KI members almost a decade ago. He said he invited Smith to his community after his release from prison, but the justice never accepted. I find it funny that APTN is running this story, but refusing to acknowledge that the former dean had several human rights complaints filed against her, and that she fired staff members without just cause and hired non qualified Indigenous people in their place. Then there is the fact that NAN has demanded that they get final say on all new hires for LU’s law school. Who’s law school is it? As an Indian myself, I find this baiting by APTN appalling and can’t even call this journalism. The system of Rule of Law was laid upon this land without consulting the First People of this land who already had systems of governance in place based in the Great Law of Peace. The British and French imposed their systems through force, not through peace. Millions of Indigenous people were slaughtered by their armies in order for them to take land that isn’t theirs. So this judge did what they are instructed to do and have been doing since they arrived. Get the Indian off the land, force them off their land, take the children, imprison the men and murder the women then turn away and deny their part in this haulocaust. Canada’s Rule of Law is subject to the Natural Law that was here before they ever set foot on this land. Their Bible is the WORD of their GOD and that they will be judged by. We have our CREATOR who placed our ancestors on this land and we are the Original People of this land who are not under this rule of law. Canada made Treaties with First Nations based on the terms of those treaties which is rooted in Natural Law. Thank you to our Hereditary Ancestral Custodians who are with us still. These Treaties Must Be Adhered to by The Government of Canada. They are responsible for meeting the terms of these treaties. Our people are responsible for making sure they carry out these terms. If the AFN won’t do it our people are going to have to. I guess the real question is, who recommended this hire? Seems to me to be totally tone deaf to the community it serves. And here I thought Kanye West was busy down south but it seems that either him or Faith Goldy have been tapped for consultation. Does this University have no shame? I just wanted to note that there is a pretty obvious error in the title and in the article. The Bora Laskin Faculty of Law is not an “Indigenous law school.” It is a normal law school open to everyone, with both indigenous and non-indigenous students. Good God. Was Mike Harris not available? The appointment signals contempt for Indigenous people, Indigenous worldview, and Indigenous relational practices and Indigenous land. It is as though a clear point is being made, a line in the sand drawn, a statement of intent – one that says reconciliation is a storefront and is meaningless here. Talk about poor judgement and a missed opportunity.